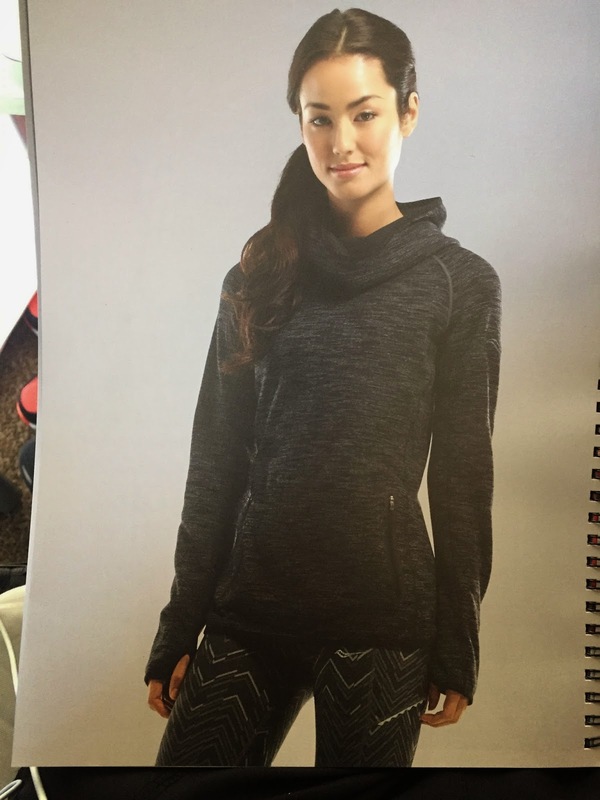 Saucony really wooed us with their shoe and apparel line. 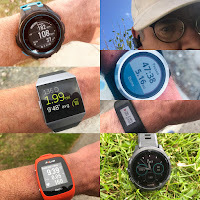 New technologies, careful beautiful designs and style that my wife and also friend Wendy found amazing from shoe uppers to apparel. 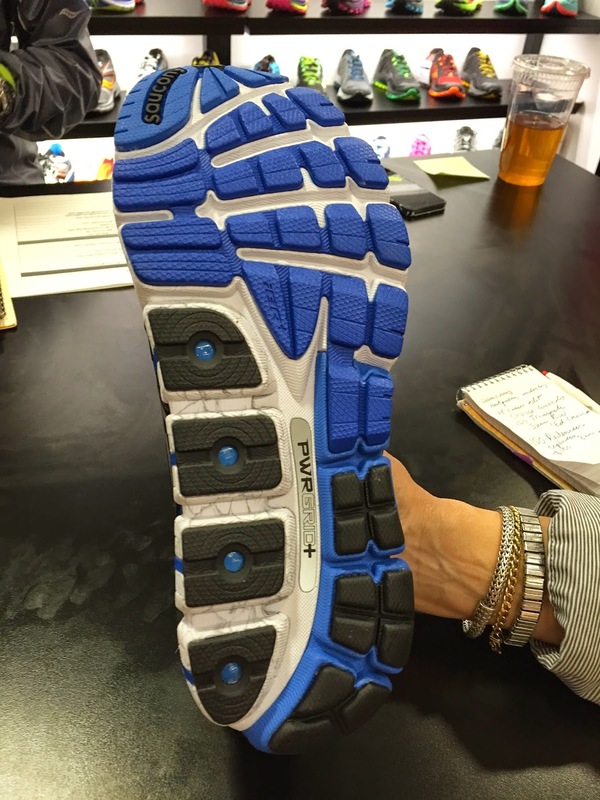 IsoFit Redeemer is a all new heavy duty stability shoe with 8mm drop. Built to accommodate orthotics it comes with a 6mm thick insole that can be replaced with orthotics as well as a hinged tongue to ease putting on the shoe with orthotics. ISOFit Reedemer- Hinged Tongue to help put on when used with orthotics. 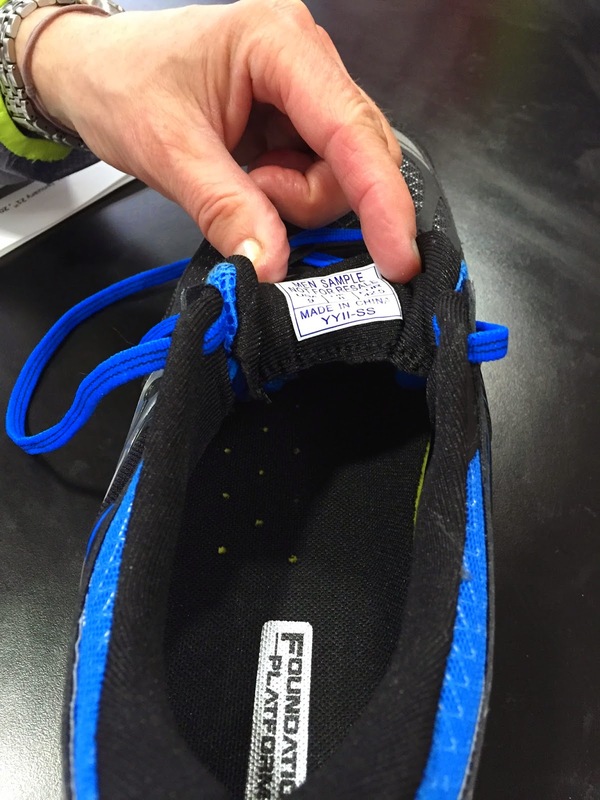 Seams are gone from the forefoot, replaced by a FlexFilm upper. Greater flexibility up front. 9.4 oz, 26mm heel/18mm forefoot. $120. 6/1/2015 release. Saucony also is introducing a very neat camo Ride, the Ride GTX. Instead of a full GoreTex bootie, often heavy and stiff, the GTX features Gore Flex, 20% lighter with a different Gore material underfoot. 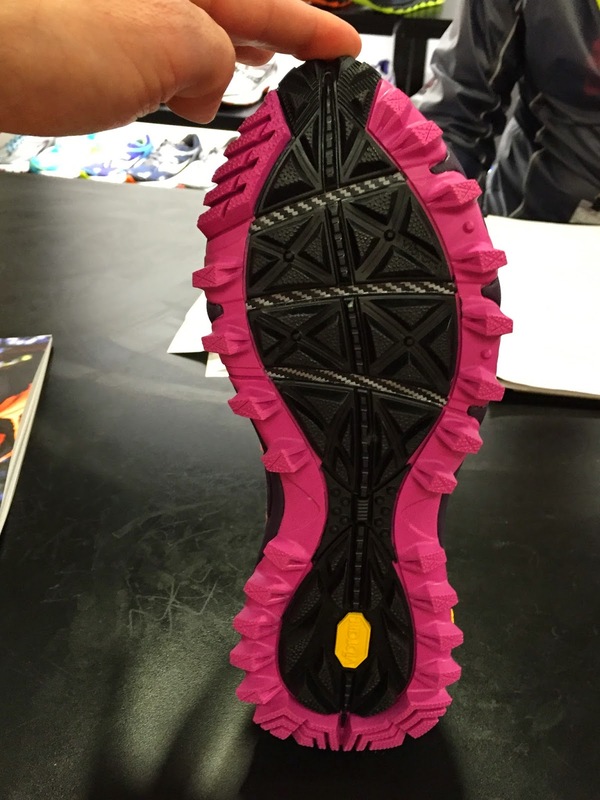 Seemed like the same approach as we saw in the neat La Sportiva Core GTX High (here). The Ride GTX is 9.8 oz so less than half an ounce heavier than the standard Ride. 26mm/18mm $140. On sale 8/1/2015. 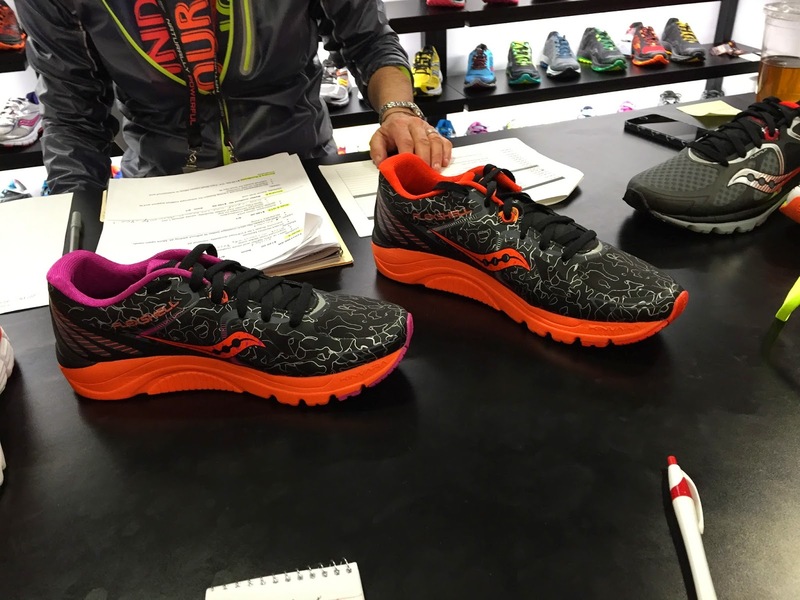 Saucony's ever popular Kinvara gets an updated upper of open and breathable mesh and a tuned Pro-Lock midfoot support and fit system. 7.7 oz. 22mm heel/18mm forefoot. $110. Available 7/1/2015. The Kinvara will also be available in a waterproof breathable Kinvara RunShield version with a FlexShell upper with a weight gain of only 0.1oz over the standard version. $110. Available 7/1/2015. 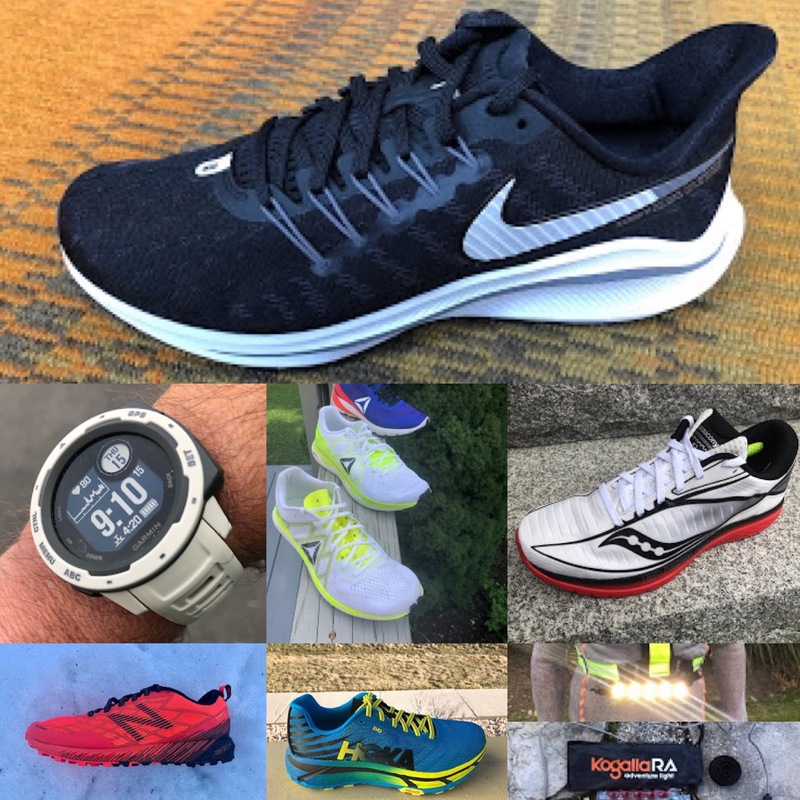 See my other trail shoe post here for information on the exciting Nomad TR trail runner. 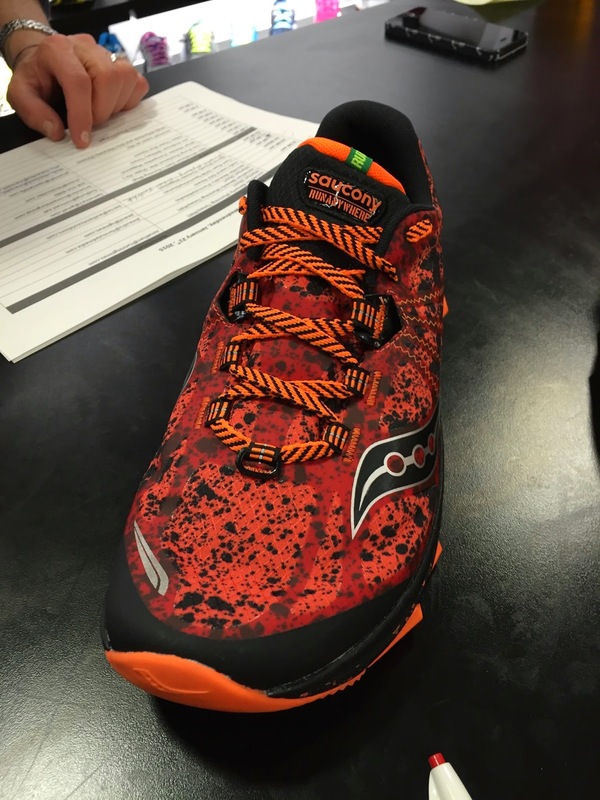 Xodus, the shoe Saucony calls "the ATV of trail running footwear" goes to version 6. 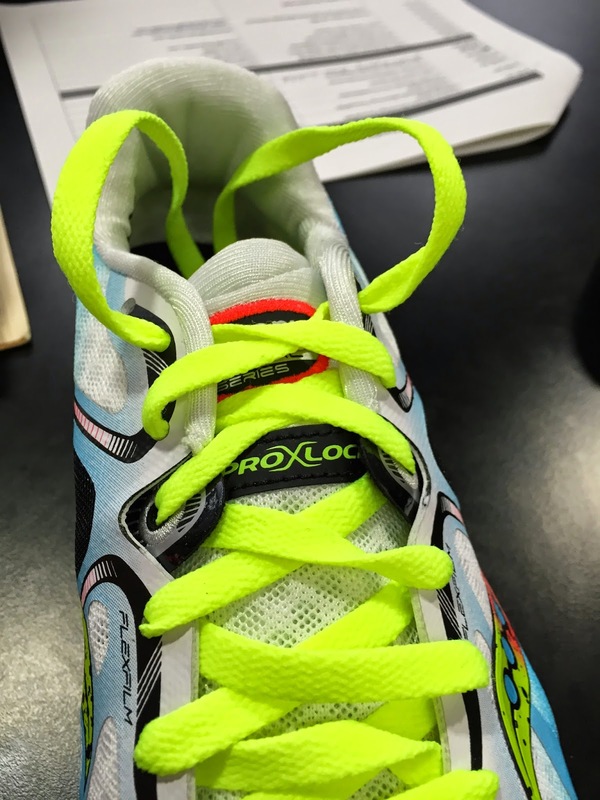 It now features the Pro-Lock midfoot support system of the Kinvara 6. 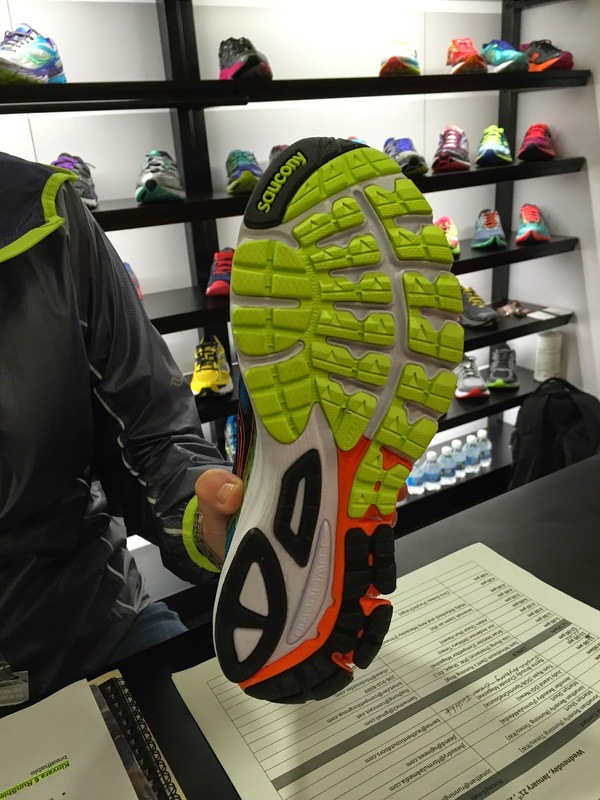 Extended Bedrock Outsole(EBS) plate in forefoot. 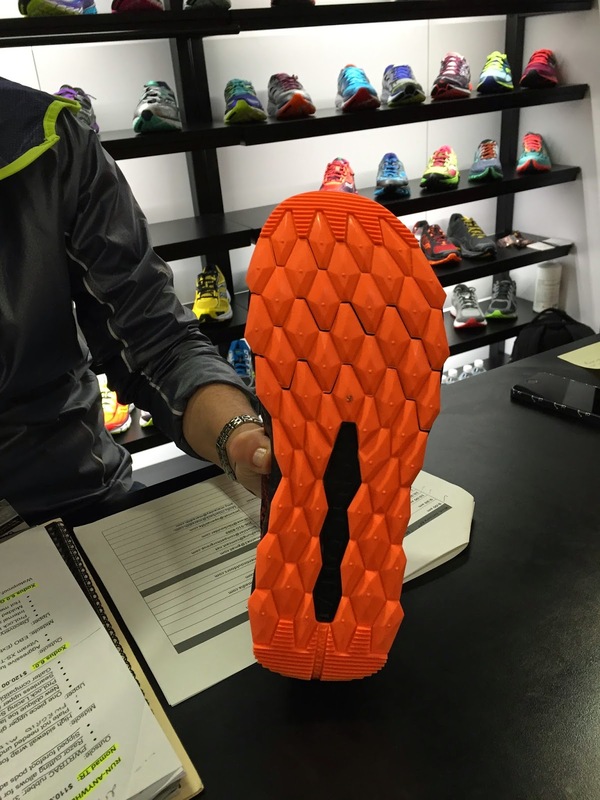 Xodus 6.0 is at 23.5mm heel/ 19.5 mm forefoot. 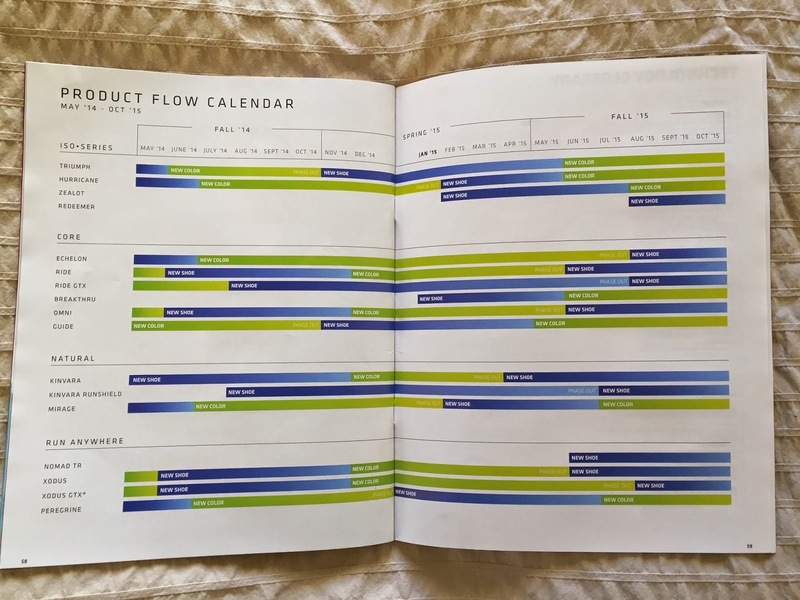 Two versions: the standard at 11.4 oz, $120. 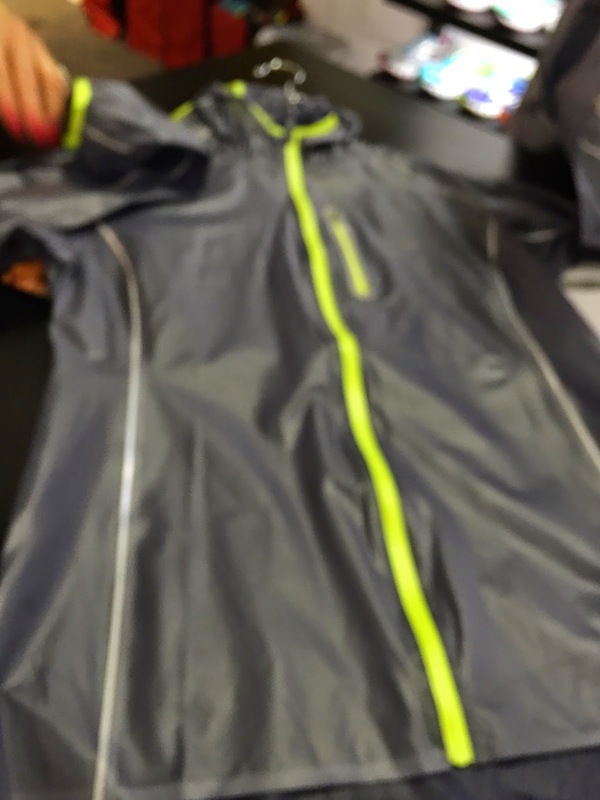 Available 6/1/2015 and a GoreTex version 12.4 oz so obviously not the newer lower weight GoreTex construction of the Ride 8 GTX. $140. Available 8/1/2015. 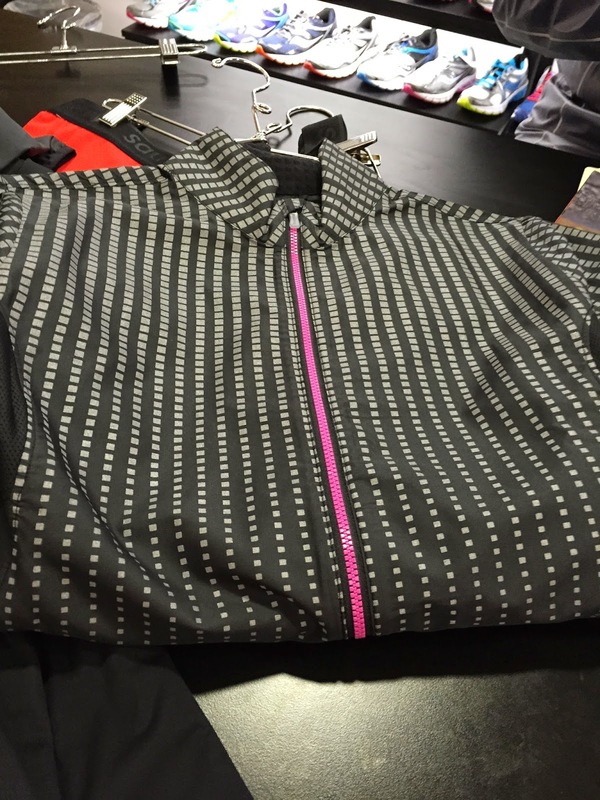 Saucony also showed us some very sophisticated looking (according to my wife and friend Wendy) and technically advanced apparel. 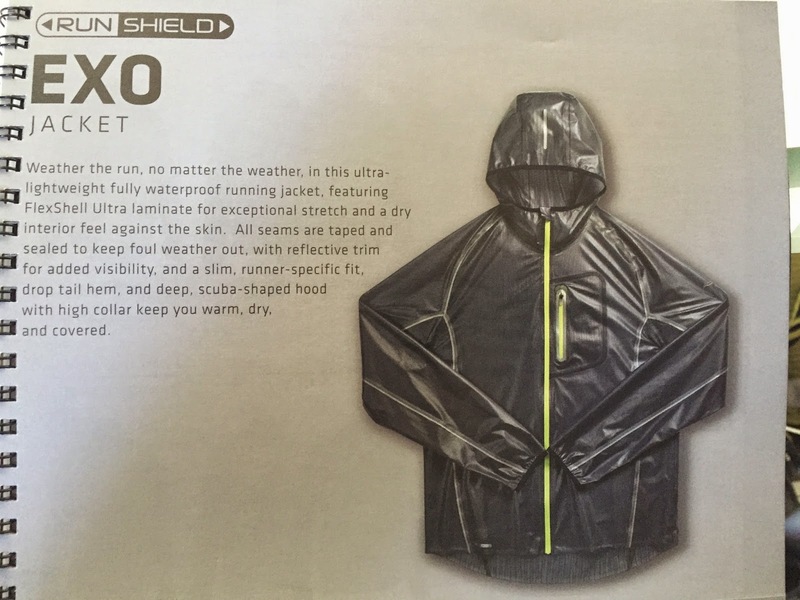 The EXO hooded jacket. Waterproof. Exceptionally light with interior texture for dry feeling. $140. 8/1/15. Sorry about the picture but it was a beaut for wet weather. 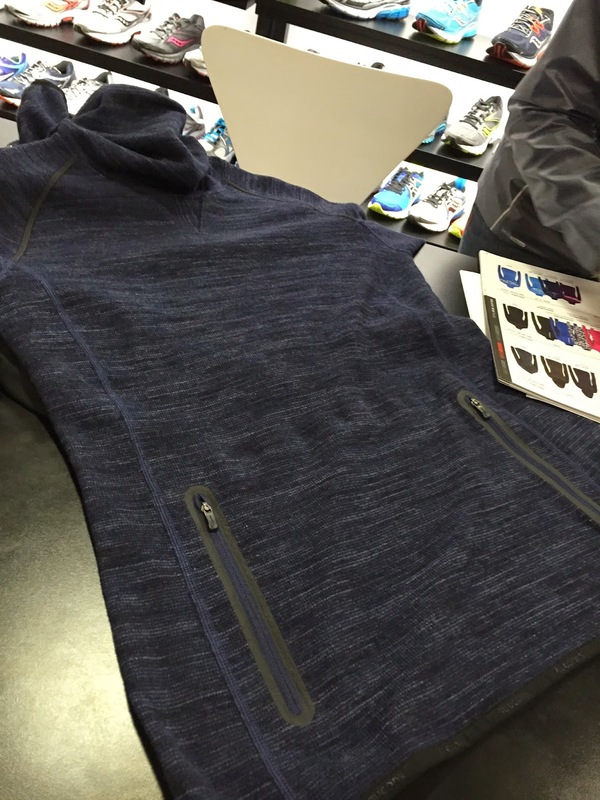 The Ridge Runner Hoodie. The ladies really liked this one. Wool exterior for warmth with soft poly/nylon interior. 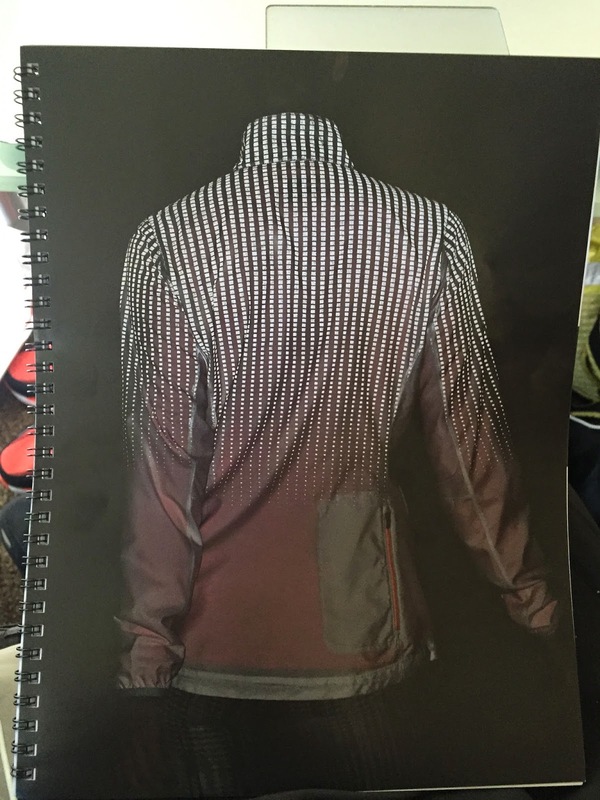 Subtle reflective details, thumb holes, extra long sleeves, two welded seam pockets. Super stylish and practical i.e run able they said. $105. 8/1/2015.